Rundale's Palace Here We Go! Once again the Inspire 2 platform has proven its worth. For this project we had to work out whether Rundale's Palace would fit into frame if flown at maximum legal altitude in an uncontrolled airspace. After doing some tests at home, we found out that flying a 12mm Lens would be just right. All in all- the project went well, we had a blast flying behind vintage cars and horses for an upcoming TV series. Drone: Inspire 2 with X5S Camera. Client: Bound to be undisclosed by contract. The greatest feeling of all. Our work has been noticed by the President of Lithuania, Dalia Grybauskaitė. The story began when our lead pilot decided it would be nice to reach a national record for flying the flag to maximum possible altitude. 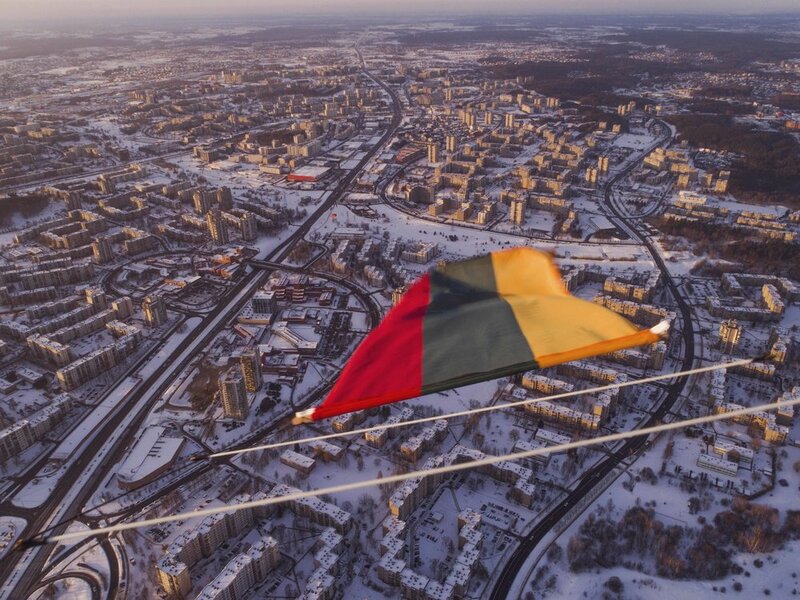 In this specific case the altitude was 500m, enough to set a good standard and simbolically "raise the flag" to the highest level on the 100th anniversary of Lithuania's independence. So we set the record, got a verification by the national record registry that the record is authentic and to top it all off- the President gave us an official national flag! Winter Rally 2018 was a blast! Not only that the weather was great, but we also had the chance to put some of our fresh equipment to extreme use. We're happy to announce that everything held up pretty well. Here's the result from our visit at the Winter Rally 2018. ©2018 Baltic Drone Services. All rights reserved, all content is authentic and shall not be used without permision.